Lions are the first of the "Big Five " animals. Africa has always been known for its wildlife. 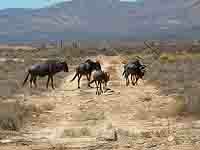 With the arrival of the Dutch in the Cape in 1652 the demise of the wild animals that roamed the Cape began. At first with the arrival of the Europeans hunters killed for food but later when they found their way into the interior and came across large herds of wild animals they killed for the sport of hunting. The magnificent Cape lion was hunted to extinction as were many other species such as the Cape Kwagga a family member of the zebra family. 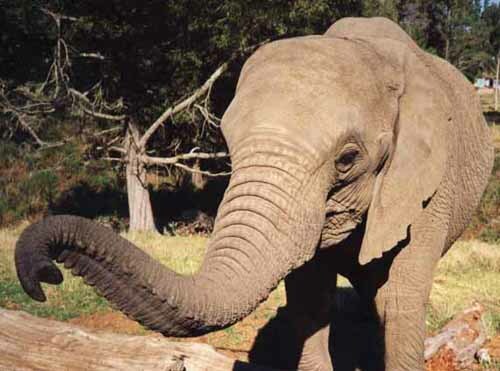 In the Knysna area there were great herds of elephant and these are no longer in existence today. Most of them having being hunted for their ivory or as Sunday afternoon entertainment for guests of the gentry at that time. If it were not for the foresight of a number of politicians and animal lovers South Africa would not have a single wild animal left. To allow future generations the opportunity to see wild animals roam the plains a number of parks were established around South Africa to protect them. The most well known reserve being the Kruger National Park. Animals living in the parks are given an opportunity to breed and because of the protection they enjoy many endangered animals have once again established themselves. Tourism has placed an even greater pressure on the parks to preserve our wildlife as there is a great demand from abroad to see South Africa's national heritage. its wildlife. Most people visiting South Africa have heard of our "Big Five" and want to see them.. For those who don't know which animals are included in the group here they are. In the Cape area lions are all kept in captivity as park areas are not big enough to keep a pride of hungry lions in their natural environment. A second reason for them being in captivity is that it would be difficult to feed them as there is not enough free roaming game for them to hunt and eat. The third and main reason to keep them in captivity is that it is difficult to protect people from a roaming lion who would attack them more or less on sight. 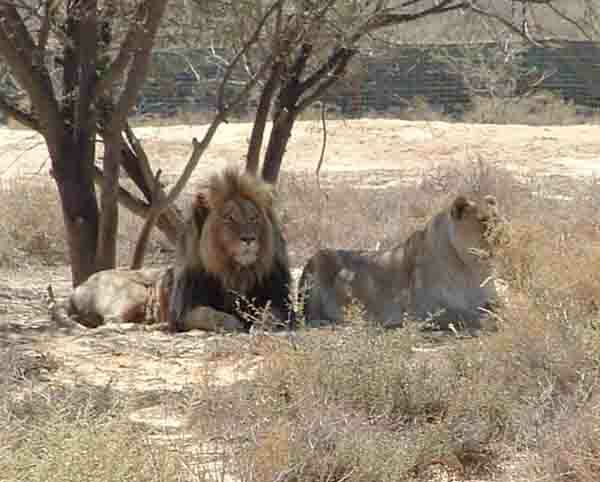 In the larger parks such as the Kruger National Park lions roam free as there is an abundance of game for them to hunt. The second of the "Big Five" animals is the buffalo. Buffaloes are large animals and are extremely dangerous . They are powerful and it takes a whole pride of lions to bring one down. 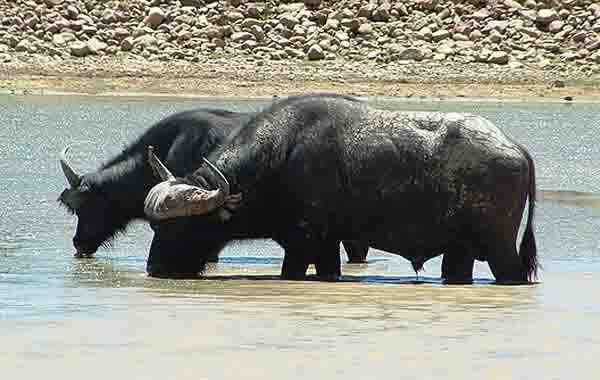 Buffaloes in the South African wild have always carried diseases so game farmers and the National Parks have started a disease free breeding programme to restock areas where the game has died out due to the diseases. There are a number of parks in and around Cape Town where one can see buffalo in their natural habitat. The third of the "Big Five" animals is the rhino. Rhinos are well suited to the Cape area and although they do not roam free in the wild a number of game farms have them on display in their reserves. 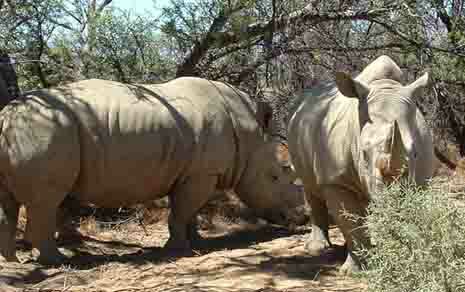 There are two types of rhino in South Africa, they are the white rhino and the black rhino. If you put these two rhino species next to each other one could not tell the difference as they are not named because of their colour. The Black Rhino probably derives its name from the dark-coloured local soil covering its skin from wallowing. The main difference between the two rhino species is their mouths. The black rhino has an upper lip which is adapted to feed from trees and shrubs while the white rhino which is a grazer has a wide square upper lip which is adapted for grazing. The black rhino is under serious threat at present as poachers hunt and kill them for their horns which are considered to be an aphrodisiac in the east. The fourth of the "Big Five" animals is the elephant. As elephants need large areas with plenty of trees the Cape area is not suitable for them. In the early 1600's when the Dutch arrived at the Cape there were many indigenous forests in which the elephants lived. As the forests were cut down the elephants were hunted and killed. Today there are no free roaming elephants in the Cape area as the veld is not suited to them. Elephants are destructive animals and are extremely dangerous in the wild. Most elephants now live in the national parks in places such as Addo Elephant Park near Port Elizabeth and in the Kruger National park in the north east corner of South Africa. There are also some elephants living in the wild in the Namib desert in Namibia. The fifth of the "Big Five" animals is the leopard. The leopard is the only one of the big five that can still be found in the wild. Most of them are found in the mountains that surround the Cape. They are extremely shy animals and hunt small antelope and the hyrax that can be found high up in the mountains. Occasionally they venture down from the mountains and prey on the cows and sheep belonging to farmers. This of course brings them into conflict with the farmers and they are sometimes shot and killed by them. 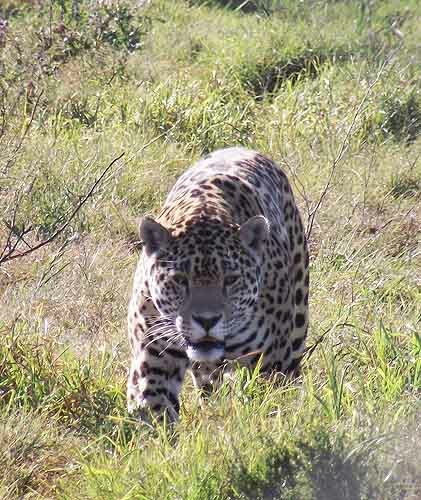 Arrangements have however been made between the nature conservationists and the farmers that where a leopard becomes a problem a trap will be set for it and when it is captured it will be moved to another area where it will not get into conflict with humans. Sometimes when an animal cannot be caught the farmer will be given permission to shoot it. When this happens the farmer will be allowed to keep the skin which will be registered in his name. The sale of leopard skins is prohibited so farmers are not allowed to sell any skins they might have in their possession. The big five animals are not the only wildlife found in South Africa. 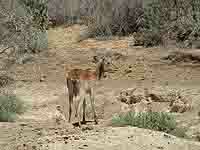 There are a number of antelope such as the Eland which is the biggest buck found in South Africa. It stands nearly two metres tall and has heavy spirally twisted horns which can be up to one metre in length. 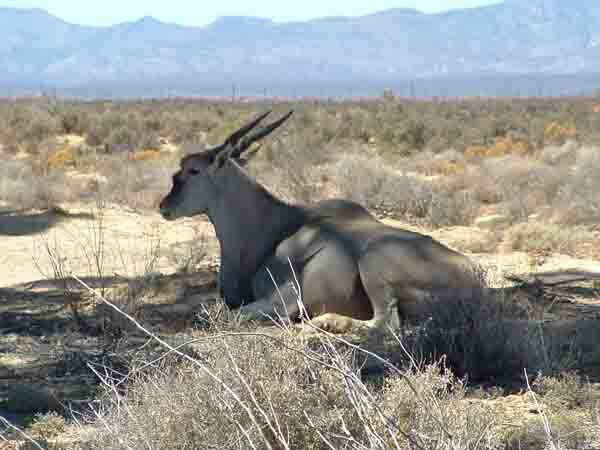 Another large antelope is the Gemsbok or Oryx . It has long spear like horns which grow up to 30 inches long. This antelope has a thick, horselike neck with a short mane and a compact, muscular fawn-coloured body. One of the smaller antelope which is common in the Cape is the Springbok, South Africa's national symbol. The springbok are herd animals and move about in small herds during winter months, but often form larger herds during the summer. Springboks are grazers and eat both grass and leaves. They are able to survive in drier areas as they get enough moisture from the succulent leaves they eat and don't necessarily need drinking water to survive. 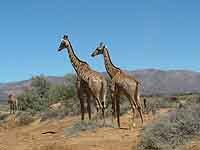 Other animals which can be found in reserves in and around Cape Town are the giraffe, the zebra, the gnu or wildebeest and even cheetahs. A visit to Cape Town and South Africa is a once in a life time experience for many. 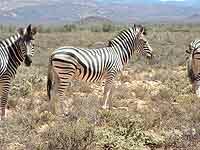 When you visit Cape Town take the opportunity to visit some of the game farms and reserves that are found here.